We have an official statement from KriArj Entertainment clarifying their exit from working on the film Parmanu. “Kriaj Entertainment Private Limited is a responsible stakeholder of the entertainment industry in India. Founded in 2015, the company has an impressive list of titles like Rustom, Toilet – Ek Prem Katha, Padman, Pari in a very short span of time. Credibility and creativity with a view create people centric content are the cornerstones of our Company. The film business like all others has cycles and the choice of projects as well people are pivotal to long term success. As first generation film makers our road to success has not been easy and we have been faced with multiple challenges. Overcoming challenges has made us stronger and bestowed the wisdom to understand the intertwined fibres of this extremely complex industry where profitability is a distant dream for most films. Parmanu is project that was very close to our heart. It is film that portrays the story of India’s nuclear test like never before. Kriarj Entertainment has ensured that the project is completed within timelines and the quality of the content is something that we shall always be proud off. 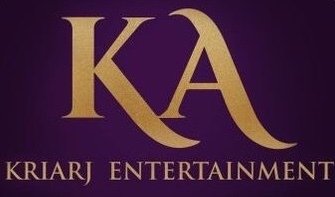 However owing to inevitable reasons beyond our control and consistent improbabilities, Kriarj Entertainment has decided to move out of the project. There are certain business decisions that simply need to be taken dispassionately and this was one them. As we move out, we wish all the stakeholders well and hope the film can truly achieve the heights that we at, Kriarj feel it deserves. We understand that there has been news reports purporting to Kriarj’s exit and this press release wishes to put to rest all figments regarding the Company’s continuance on industry as well as its exit from Parmanu. Kriarj Entertainment is here to stay and we shall keep entertaining audiences through creatively ideated content which revolves around the youth of India. Deeply rooted in values, we seek to spread our wings far and wide with a number of big ticket releases in the days to come. 17 queries in 0.616 seconds.